The Snakeneck Turtle is definitely the most common and most widely known Australian freshwater turtle. Europeans first met this turtle during the first journey of captain Cook in 1770. In different regions this turtle is called differently, with the name almost always referring to a foul smelling scent used by the turtle as means of defense. Snakeneck Turtle is widespread in all slowly flowing waters of Eastern Australia. 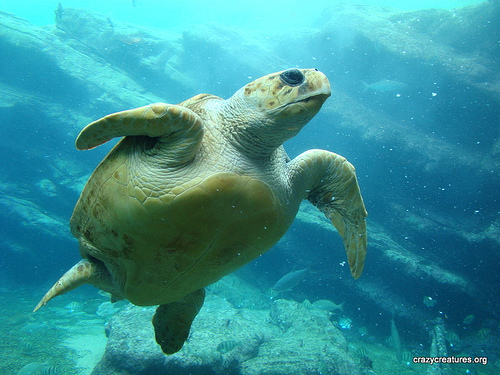 Although the turtles can live on both land and in water, they prefer rivers and sea gulfs, where the stream is slow. Snakeneck Turtles are also known for their habit of moving to newly appeared water basins, usually within the first two years of their appearance. These turtles often change their location and move to areas more suited for living. They are carnivores that hunt during the day. 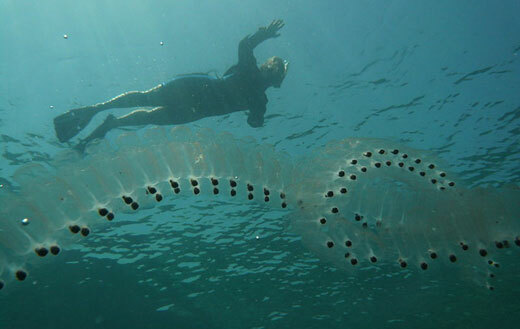 They feed on invertebrates, such as crabs, slimes, frogs and a variety of crustaceans. The elongated necks and sharp jaws prove to be very helpful hunting tools for the turtle. Snakeneck Turtle cautiously swims to the prey, sneaking through seaweeds, and then suddenly shooting its head out in the direction of the prey. The turtle’s jaws are not strong enough to chew prey, so dividing larger prey in pieces is done by shaking the head and punching it with the legs. Snakeneck Turtles mate underwater. 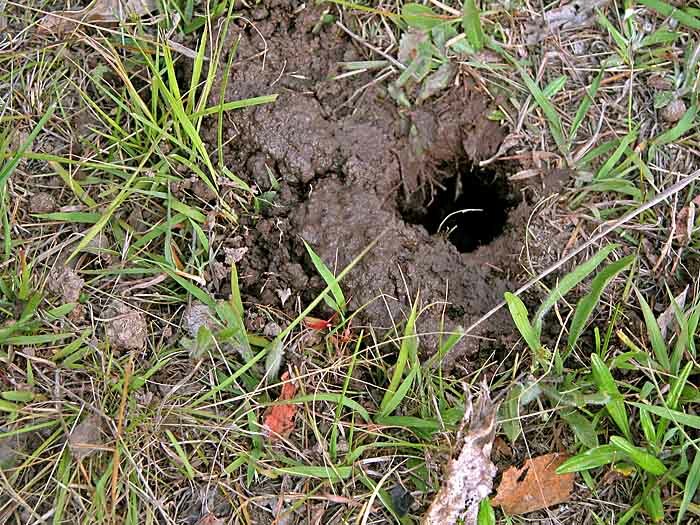 After a gestation period of about two months, the female comes out of the water, digs a hole and later lays 6-24 eggs in it. After two more months, the young turtles hatch and they immediately go into the water. Male turtles become sexually mature at the age of 7, while it’s about 11 years for females. Snakeneck Turtle eggs often become catch for other animals and many turtles die before hatching, but if they do survive, they can live to up to 40 years. 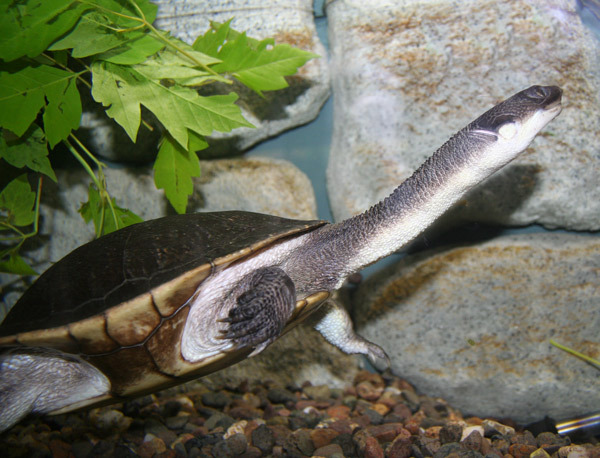 Many predators prey on Snakeneck Turtles – young turtles can be eaten by a variety of predatory fishes and water birds. Grown individuals are far more protected, with their prominent shells offering protection against most creatures. Currently the Snakeneck Turtles hold a large population in Australian waters, and they are not endangered, although many turtles are caught in traps or die under car wheels, mostly when the turtles are migrating to new homes. Many people avoid this turtle because of its foul smell and therefore it isn’t widely caught and most people wouldn’t eat it. An interesting fact is that the body temperature of these turtles varies from 23,7 to 32,2 degrees Celsius and they must often bask in sun to maintain body heat. Although avoided by most people, the Snakeneck Turtles are unique water predators and a vivid illustration to the diversity of Australia’s unique fauna.